Foot traffic and general wear and tear can damage the carpets and upholsteries aboard your vessel. Over time, you may need carpet repair for yachts and boats to restore them to their pristine condition. 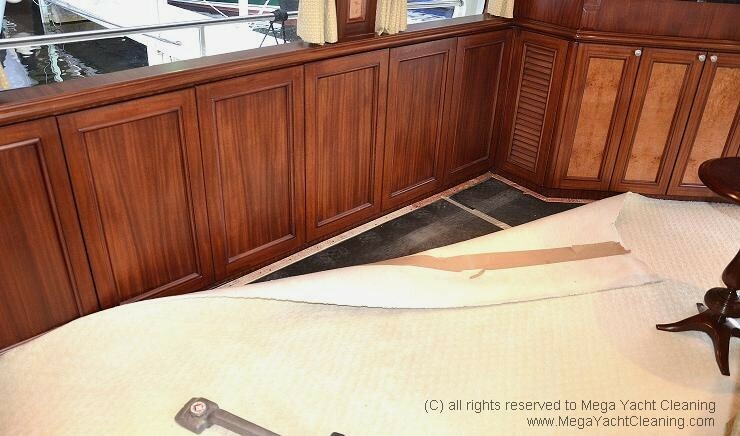 Mega Yacht Cleaning has extensive experience making carpet, upholstery and fabric repairs aboard luxury vessels. Carpet and upholstery repairs can be a big job. Care is absolutely required during repairs in order to get them right without causing more damage. When repairing especially unique, delicate, and rare pieces, it`s imperative to use the utmost care. That is why we offer the best. We have an expert team of carpet installers and tailors who treat your yacht as if it were their own. Our number one job is to serve you and to make sure your vessel and its entire furnishings look great for years to come. There is no job, big or small, that we can’t handle with unmatched quality and care. 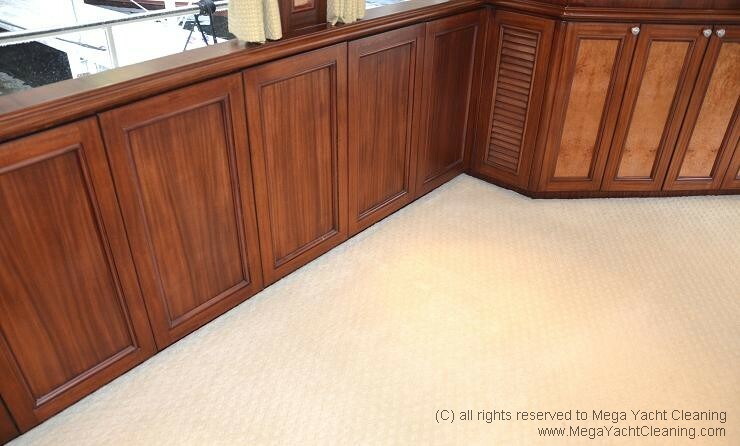 Call Mega Yacht Cleaning at (954) 448-8899 and find out more about carpet repair for yachts and boats today.